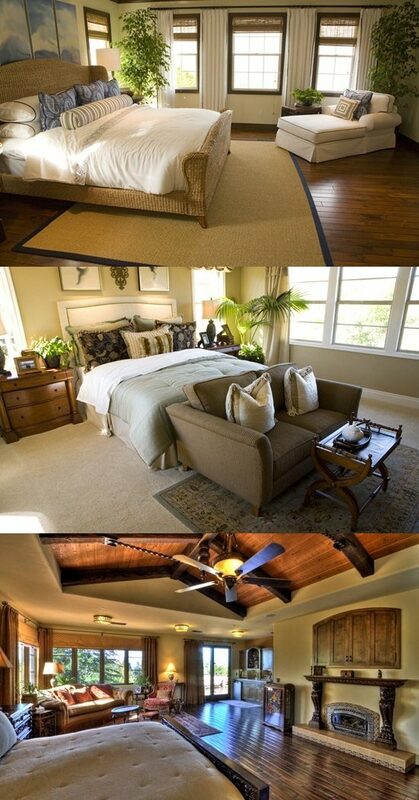 As everyone knows, the master bedroom is our retreat and our paradise at home. So when we decorate our bedroom we are always seeking for possessing comfortable items. There some items are essential to have them like a bed, dresser, night stand, etc. but the people forget one of the essential furniture which adds value and coziness in your master bedroom, this item is a relaxing seating. This type of furniture “relaxing seating” is suitable for any room size which will enhance its look and add vivacity to your master bed. You just need to choose the right seating for your master bedroom. In these modern days, everything you may need is available in the market. You can search online and see the wide variety of this comfortable seating in colors, designs, materials and shapes. You then will choose the one that fit your décor and your budget. When you are about to choose your relaxing seating, you need to consider some features first and then get what you want. If your room is small you may have to consider this matter and choose something fitted in a corner for reading like as example a rocking chair. But if you have a large master bedroom, your options will be unlimited but you will have to choose it according to your budget and the chair functionality that you can use it for reading, watching TV and even relaxing. There are many options in front of you especially in a large room as a follows: if you need something catchy, affordable and comfortable as well. You may want to have a bean bag relaxing seating which is available in the entire colorful rainbow beside it is easy to move in any area you need. It is preferable for all ages and genders. There are also the ordinary bedroom chairs and benches. The benches could be used a comfortable seat of it is padded and they can also serve as extra storage. The bedroom chairs can be with any upholstery materials which will add comfortable and functional use. Whatever you will go for it depends on your needs, taste, and its cost.